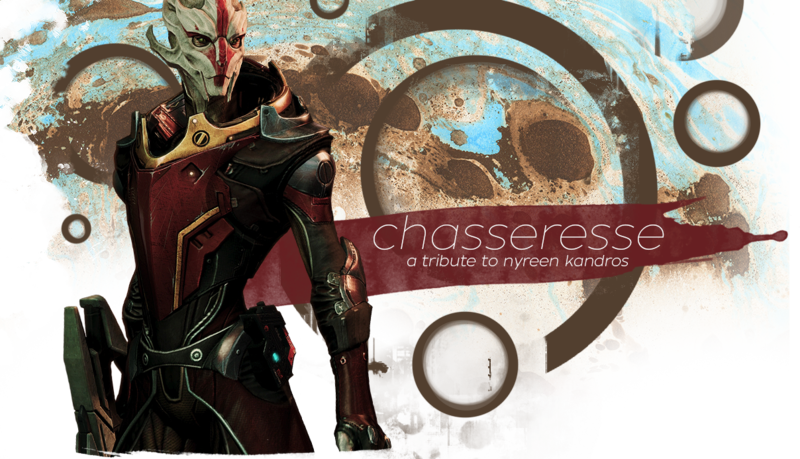 Welcome to Chasseresse, a tribute to Nyreen Kandros from Mass Effect. Nyreen made her original appearance in the Omega DLC for Mass Effect 3 and will be forever remembered as the first female turian to be introduced to the series. Valiant, honorable and strong, Nyreen is managed to capture our hearts in such a very short amount of time. Please be warned that this site contains massive spoilers for Mass Effect 3 and the Omega DLC content.